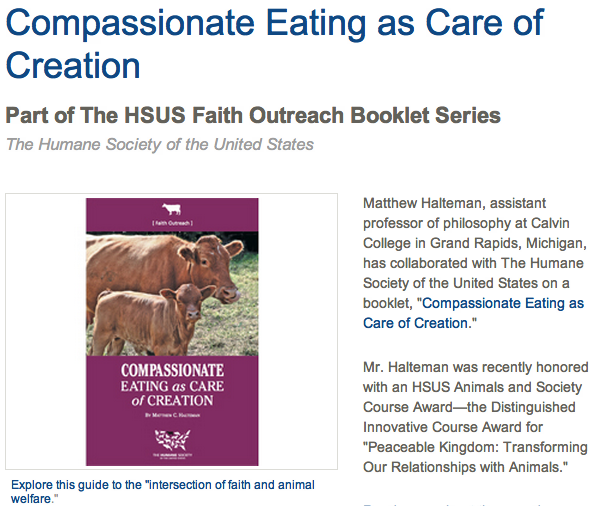 The advertisement above appears on the website of The Humane Society of the United States as part of its “faith outreach” on behalf of vegetarianism and animal welfare. You may be interested in reading a review essay of this pamphlet that I have co-authored with Dr. Stephen M. Vantassel, entitled Compassionate Eating as Distortion of Scripture: Using Religion to Serve Food Morality, which appeared in the Spring 2012 issue of Evangelical Review of Society and Politics (vol. 5, no. 1). 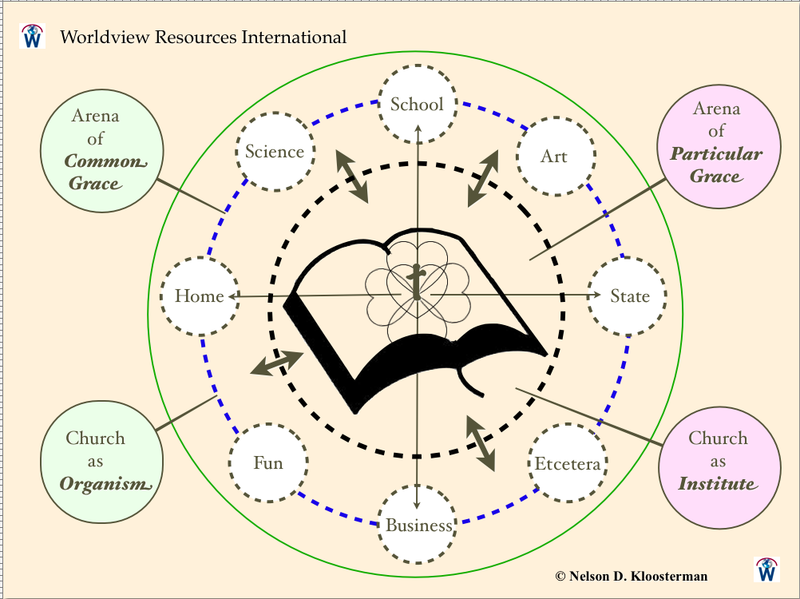 Dr, Vantassel (Ph.D., Trinity Theological Seminary, USA) is Lecturer in Theology at King’s Evangelical Divinity School, United Kingdom, and Project Coordinator, University of Nebraska (Lincoln), USA.